Might You Know a Sunny Revere? 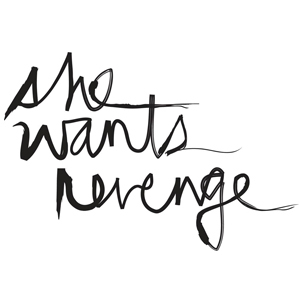 The Art of Writing for Revenge. Ever met a parent who thinks he or she is one but misses the boat by a fathom, and then some? Have you, by chance, ever met a Sunny Revere? She’s a woman who rescues cats but can’t seem to see that her daughter needs rescue. She’s a grass-roots organizer who can’t get organized enough to keep the cupboards full. She puts the new boyfriend first, because after, she deserves love and has hunted all her life for it. And in this home that Sunny has created, Wendy is vulnerable to abuse by the latest boyfriend. And he is not the first to try. I wish I could tell you that Sunny is all in my head. But she is modeled after a particular profile of parent that regrettably, inflicts a lot of damage on children. In my years of teaching, I would bid certain students goodbye each day as they returned to their multimillion-dollar homes, tenements, or trailers, and wondering if they would be okay. It wasn’t because there was a police report or a restraining order; it wasn’t because I had any concrete evidence of abuse. It would be the little things the kid would say to you in class or after school that tipped you to the neglect or the harm, things you would run to the counselor or social worker with, but not know if the school had any recourse. The Domino’s guy don’t come to our house. Why? Oh, because he’s too afraid. Our neighborhood’s crazy…(with a shrug). Sometimes we write from frustration, anger, and even revenge. We write from the frustration that our hands are tied, the anger at the sins of the world, and revenge upon those who would neglect or harm children. My novel began as an act of revenge against neglectful parents and predators who easily cross the porous borders of certain homes. I began ST. MICHAEL, PRAY FOR US in 2009 as a story dedicated to youth who seek a trustworthy adult and find that trust abused and to youth who can’t speak for all the fears that choke them silent. Sunny Revere is the mother who lets her daughter alone, who is too busy seeking a better life for Sunny, to notice that Wendy has been robbed of her innocence. Revenge is a dish best served cold. I think this applies to the writing process. My first draft was a rant, admittedly, where Wendy as a 16 year-old survivor grapples with sexual abuse that happened when she was 10. Now in 2012, after years of feedback from beta readers and professionals and multiple revision, HOW WENDY REDBIRD DANCING SURVIVED THE DARK AGES OF NOUGHT is a complete story with a beginning, middle, and end and characters who live the trauma in real time. The story is hot, but the process to get it there was frigid. I had to clinically carve it up, with a steely surgeon’s eye, the room set to freezing as I sliced, diced, and sewed things back up. The only thing that stays the same is the flatness of Sunny Revere. A narcissist is a narcissist is a narcissist–at least in my book she is. No matter how many times life has prompted her to peer at her daughter’s pain, and closely, Sunny keeps turning away. No matter how many times Sunny has been called to account or action, she has made her excuses. By the close of the book, when Sunny finally accepts the revelation, it is too late. Writing about Sunny Revere is my challenge, one to concretize emotion such that readers care and are even perhaps spurred to action. My call is to create people, places, and choices that move beyond manifesto into relationship: readers relating to, hating on, cheering on my characters. We can’t be talked at–we must be invited into someone’s world. If writing is an ugly spew of hate, I’ll get nothing back but echo. In this draft, my screams fade and Wendy’s life shouts, a revenge all its own. This hard-won story carries you to the last page where hotlines can take a silenced survivor to the next step if she is ready. Now, let’s see if I can get this message heard. Do you know a Sunny Revere? Sometimes, as Hannah Arendt once wrote, good people do nothing. Sometimes when I write, I am trying to be a good person who may have witnessed a wrong and did not act–or was not sure what to do. I can write from righteous indignation because I am too flummoxed or too much coward in the moment–or perhaps because I am too removed and powerless in the face of certain wrongs. Do you ever write from such feelings? Fathers can be like Sunny, too. My youngest stepdaughter went to live with her father after her mother and I divorced. I found out many years later that he quickly met a woman and moved in with her, leaving the stepdaughter alone in the house at sixteen, with no resources. Fortunately, she was/is as tough as Wendy, and she turned into an admirable adult. The deck of cards we’re dealt can teach us so much we make the best choices of our life, even when it seems like we’re losing. Or the hand can depress us so much that we make terrible choices. Thanks for the reminder, Bob, that many traumatized youth make great choices and develop heroically into the kind of people I wish I could be!